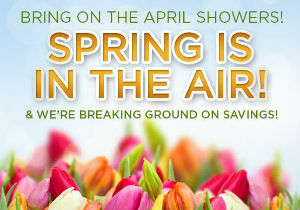 Although the winter has been a long one, we are hopeful at S&A Homes that the upcoming holiday and the welcome of April will bring warmer temperatures and more of a spring-like feel to the area. 2012 Customer Satisfaction Results are In! 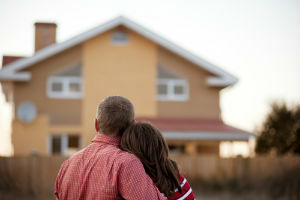 Few purchasing decisions could be more important than determining which home builder you should partner with to create a home that will be your family’s safe haven for years to come. Even in today’s information age, the glut of knowledge that is readily available to prospective home purchasers can sometimes make the buying process even more confusing instead of helpful. 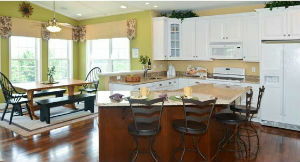 There is no doubt that Brookstone was one of S&A Homes’ most popular new home communities to date. It’s perfect location, just minutes from Route 228 and nearby Cranberry Township and in the award-winning Mars Area School District, is just one of the reasons so many people chose to make Brookstone home. 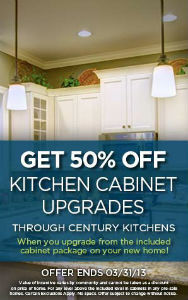 It is the first day of spring and with just 11 days remaining in the month, there is a limited window to take advantage of our 50 percent off cabinetry upgrades promotion that expires on March 31, 2013. This promotion is back by popular demand, and it’s the year’s best opportunity to purchase a new home and free up money to turn your kitchen into a masterpiece. 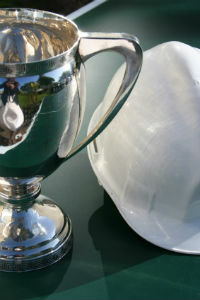 Representing more than 255,000 members and employees throughout the state of Pennsylvania, the Pennsylvania Builders Association (PBA) is an organization that has committed itself to making sure the building industry is able to offer consumers throughout the state optimal quality and value in housing. 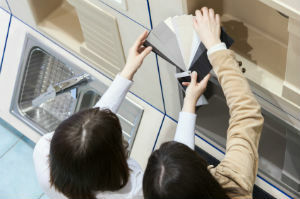 This weekend marks the 29th Annual Central PA Home Show. Those planning to be in attendance will be promised the best show ever! Not only are more than 100 exhibitors planning to be on hand at the Bryce Jordan Center at University Park, but families will be able to take advantage of free home seminars, children’s activities, prize giveaways and much more. 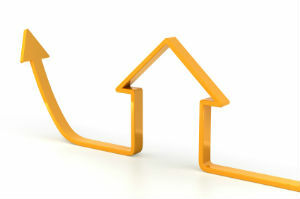 It’s nice to be able to take a deep breath and know the housing market is coming back strong. It’s been awhile since all of the models have matched, but it seems the housing forecast predicts steady gains over the next five years. In fact, the FISERV Case-Schiller forecast predicts annual housing price increases averaging 3.3 percent over the next five years.